"I went through lots of cycles of plantings looking at options for using unused land," Rusky said. "Interplanting works for a lot of reasons, and coffee fits perfectly with avocados because it has similar nutrition requirements." Americans' coffee is typically grown in tropical areas of Hawaii, and Central and South America. 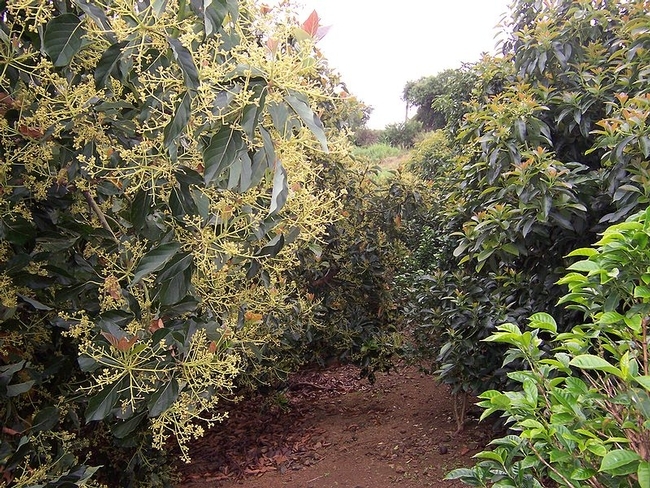 Gaskell, who worked with coffee growers for Central America for several years prior to joining UC in 1995, approached Ruskey with the idea of growing coffee in 2001. Gaskell said it is important to note that coffee also does just fine by itself in open field planting as long as it is irrigated. It doesn't require avocado interplanting for success, but avocado interplanting is an additional opportunity for coffee growing in California. In 2014, Coffee Review rated Ruskey's coffee - sold under the name Good Land Organics - among the top 30 in the world. The publication's top ranking of Good Land Organics has made coffee associations elsewhere sit up and take notice of the potential for a high-quality, domestic crop, the Take Part article said. “All of a sudden I'm thrown into the spotlight of the coffee world because I'm a disruption, which is something it needs, because it does not have a lot of research going on, like with other crops,” Ruskey said.